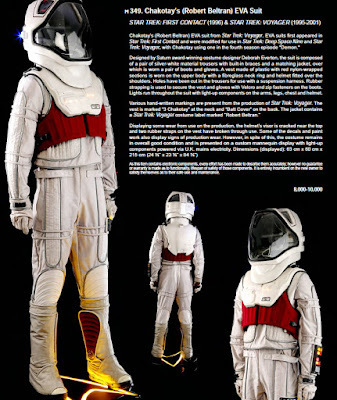 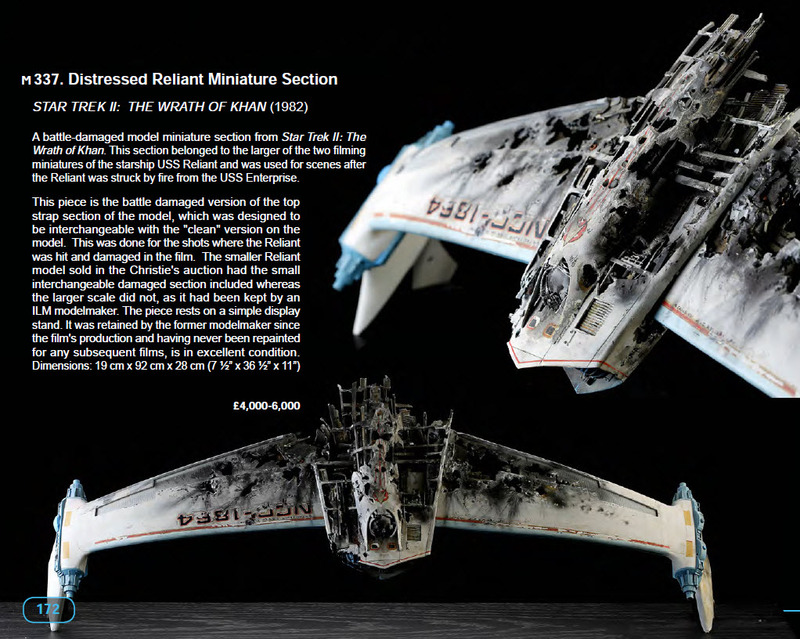 On Wednesday, September 23rd at 2:00 pm GMT+1, Prop Store of London's "Treasures from the World of Film & Television" entertainment memorabilia auction will commence at the ODEON BFI IMAX theatres in Waterloo, London, England. 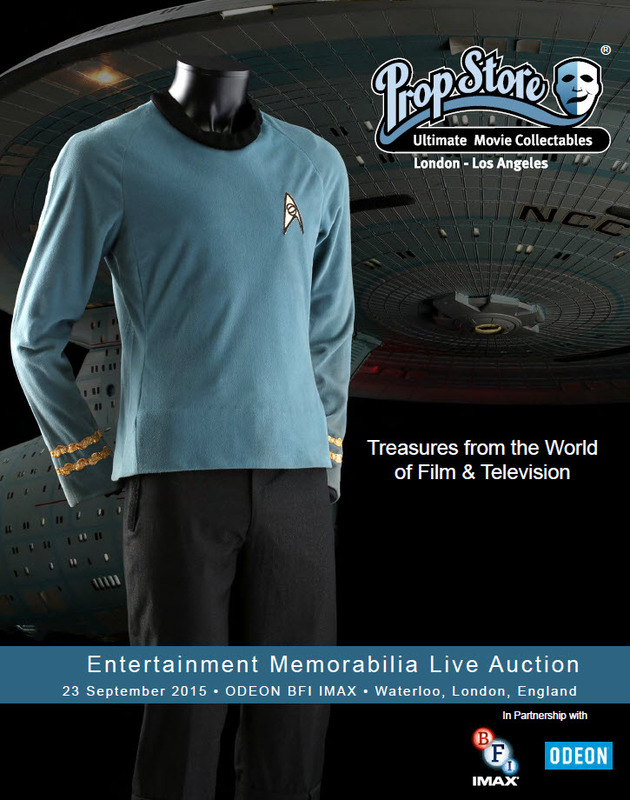 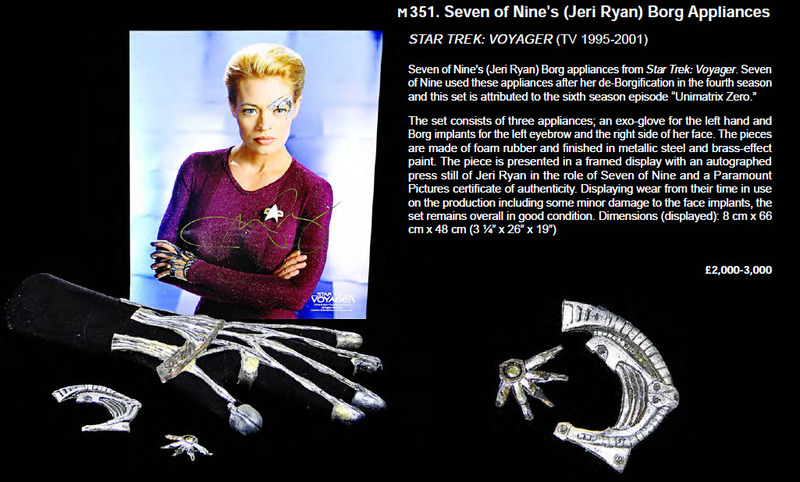 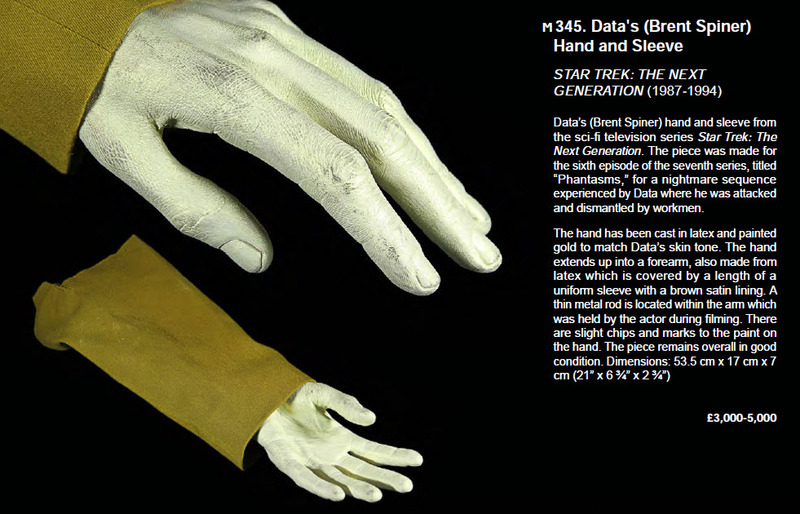 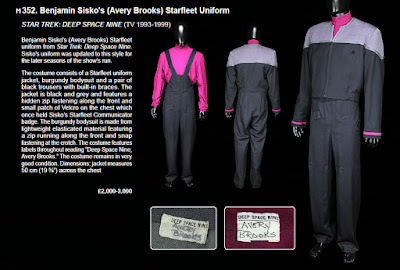 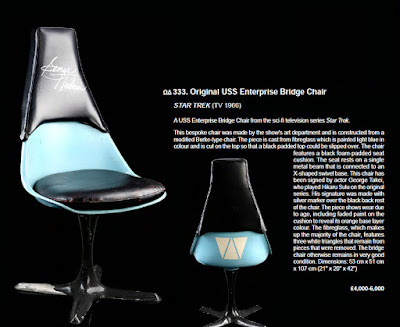 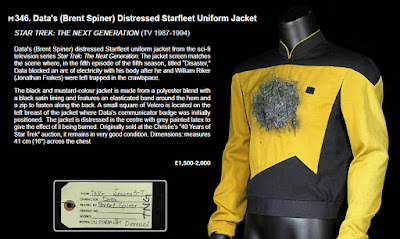 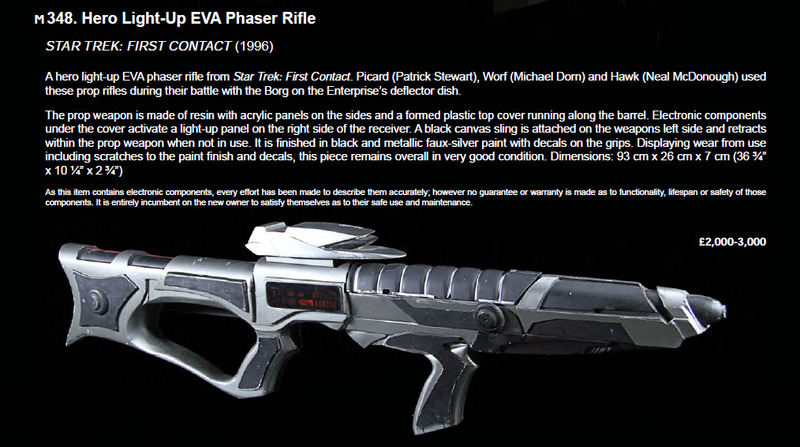 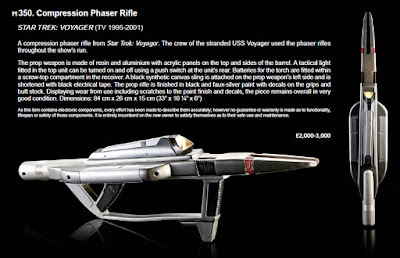 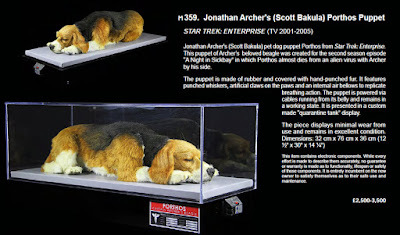 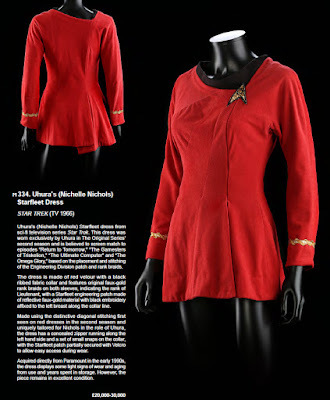 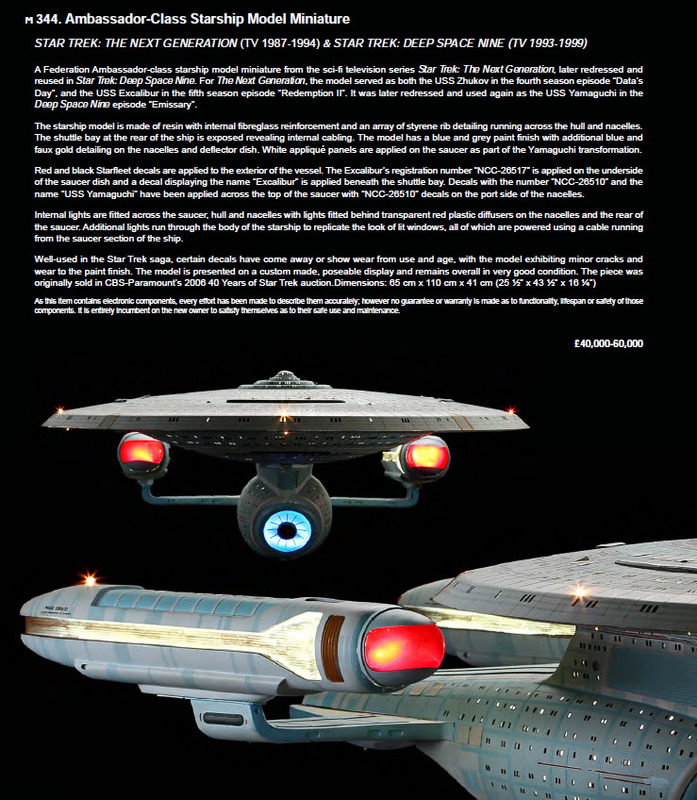 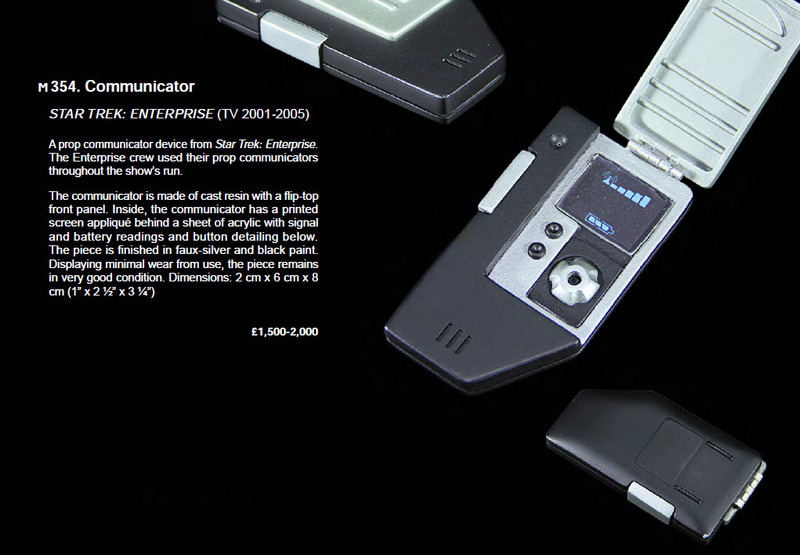 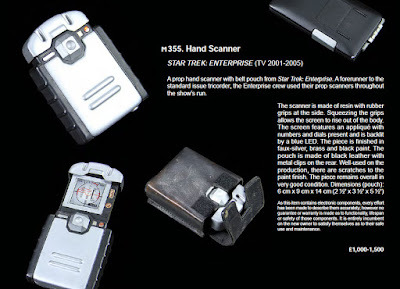 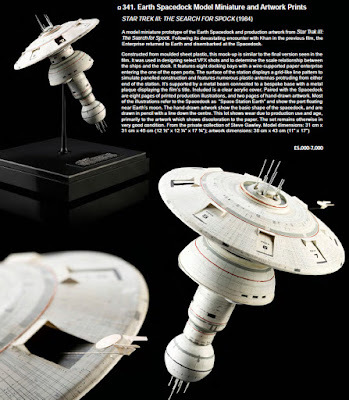 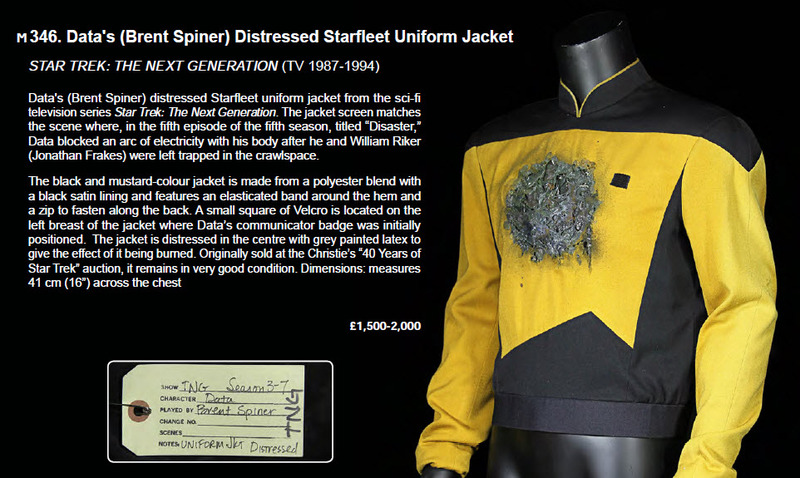 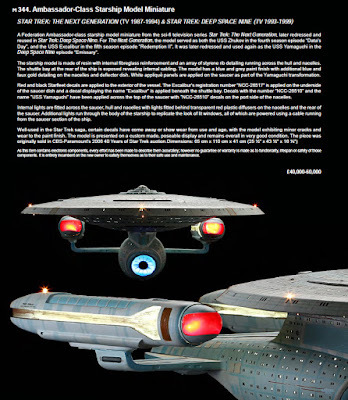 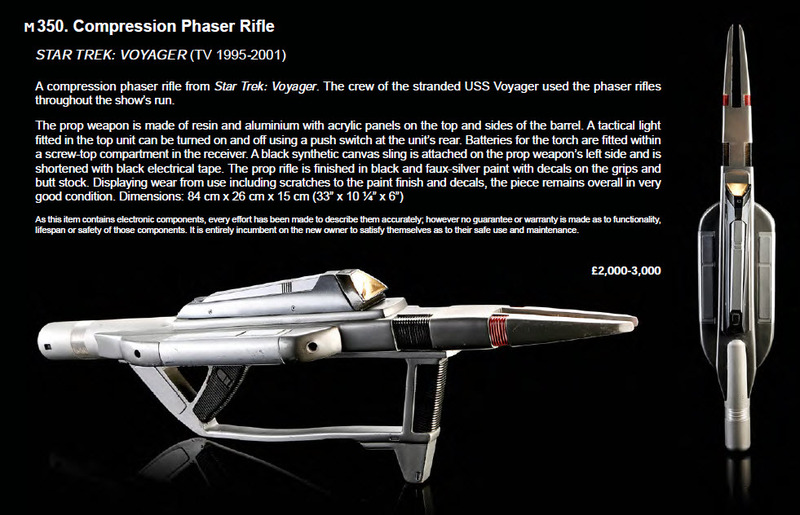 A total of 30 lots of Star Trek memorabilia will be featured in the sale; forming a very impressive offering of screen used and production related artifacts from across the franchise. 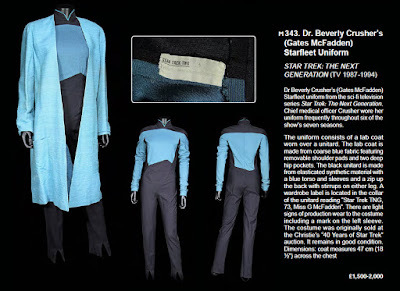 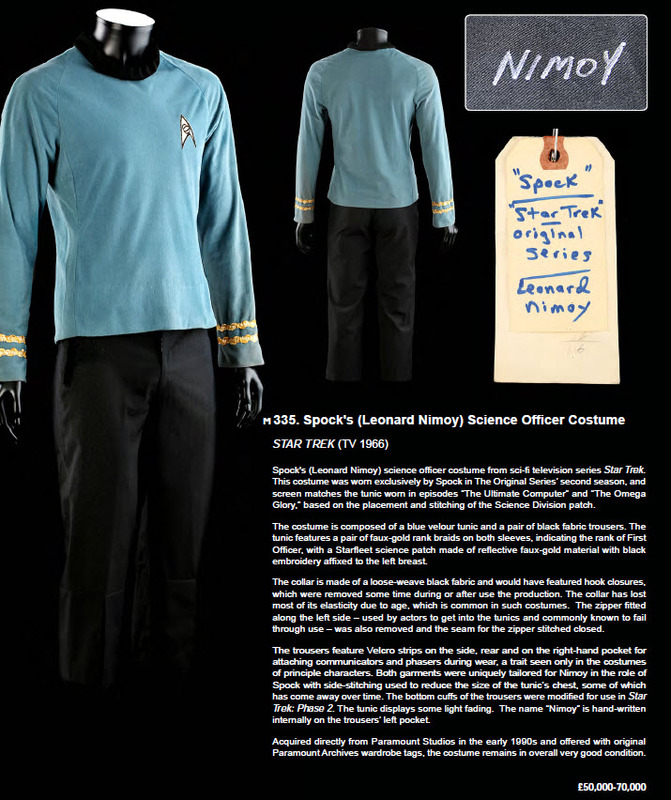 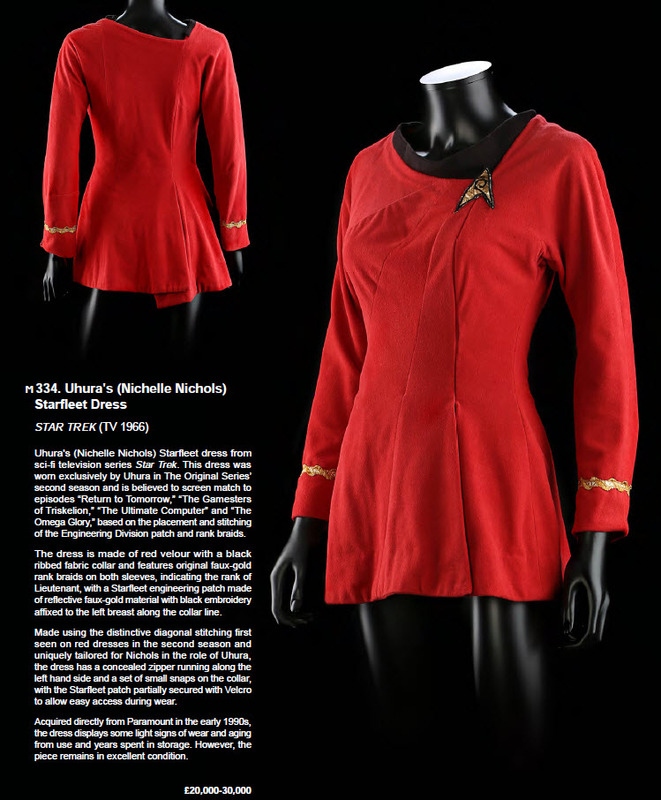 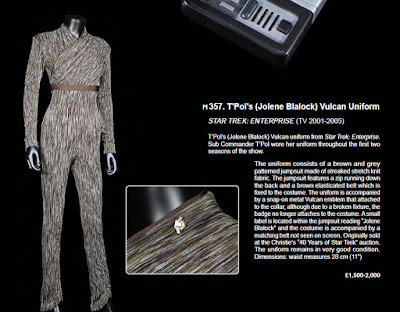 Highlights from TOS include a USS Enterprise Bridge Chair, a beautiful Nichelle Nichols 2nd season Lt. Uhura red Starfleet dress, and a complete Leonard Nimoy 2nd season Mr. Spock Starfleet uniform that includes the blue velour sciences tunic with full braid and badge as well as the black duty trousers with sewn-in velcro strips for the attachment of hand props. 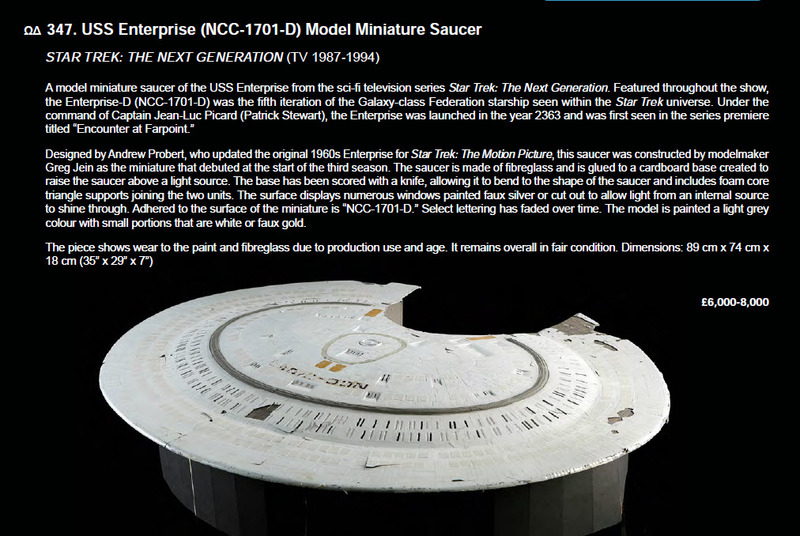 Other noteworthy items in this exciting event include the 43.5" x 25.5" x 16.25" Ambassador-class starship filming miniature that served as the Enterprise C in the highly memorable TNG episode "Yesterday's Enterprise" (as well as other Federation vessels in both TNG and DS9); an attractive prototype model miniature of the Earth Spacedock from Star Trek: The Search for Spock; Robert Beltran's EVA Suit from Star Trek: Voyager; a rare set of Jeri Ryan Seven of Nine foam rubber eye and hand Borg makeup appliances; a Jolene Blalock brown and grey catsuit from Star Trek: Enterprise; and a life sized Porthos puppet with its accompanying Sickbay medical quarantine chamber that was used in the memorable Star Trek: Enterprise episode "A Night In Sickbay".